With falling attendance and rising costs, St. James the Apostle Anglican Church in downtown Montreal was in need of salvation. And pastor Graham Singh started by first closing the doors, then opening them wider than ever. Falling attendance, rising maintenance costs and fewer donations are all contributing to churches being turned into condos across North America. Singh is on a mission to save dying churches — and he thinks he has the solution. "I believe we are all part of the greatest reformation and revival of the church ever," he said. In 2015, Singh took over a beautiful, ornate church in the centre of Montreal's bustling downtown. St. James the Apostle had a leaky roof, an uneven foundation, and its books were in rough shape. With the bishop's blessing, he became the pastor of the church. And then he closed it down. He closed it down for nine months, giving the existing congregation of about 30 a list of other Anglican churches they could attend. He emptied the church of its pews and got rid of the choir. He changed the name from the old St. James the Apostle to the new and more modern St. Jax. Singh started toward his ultimate goal of changing the building from an Anglican church — to a multi-faith community centre. Singh's goal was ambitious. He wanted to make St. Jax an international template of how churches could not only survive, but thrive. He wanted to have the church serve not only the congregation - but many congregations and the larger local community. He wanted to open it up as a community centre. Singh started seeking out other Christian churches to hold their services inside St. Jax. There are currently five churches holding services in the old Anglican building — not exactly revolutionary to the outside eye, but a deviation from what churches have done in the past. In addition, he created an economic model for for-profit businesses to rent out the church at a premium. St. Jax is located in an economic artery of the city: right on Sainte-Catherine Street. "One of the things with the economic models that we've been looking at is the concept of space utilization," said Singh. "Imagine [an auditor] came and said, 'Hey, you guys have got 20,000 square feet of urban space but you're only using it five per cent of the time. If that was any auditor auditing any charity, they would start their report on the subject with the header 'Gross Negligence.'" The lights stayed off at St. Jax for nine months. When it reopened, the masses were pared down. New people started coming. Before Singh took over St. Jax, the congregation was about 30 people. Now, there are about 80 there every week. And groups have begun to start renting the space. There have been salsa dancing, choral and tap-dancing events. Long-overdue repairs have begun. Longtime parishioner Evelyn Rodriques is quick to say the new St. Jax is not perfect, and that she had some trouble adjusting from the more traditional church service to the revamped mass. "It was a difficult transition for a lot of the members," said Rodriquez. "It seems that it caught a lot of the members off guard. They were not happy. And they were a little bit reluctant." She committed to giving the new St. Jax a try, and said she's been very happy with the results. "We have a lot of young people. And one thing we really expanded on is we have this Sunday school and we have all these children, and it gives me such joy because they are so happy. And this is something that I really think this is what our church needed before," she said. Singh is an unlikely character to usher in the new reformation. His road to Montreal was long. Singh's story began 15 years ago, when he was a lapsed Christian living in London, England. The beautiful women leaving the services at Holy Trinity Brompton caught his eye. He started attending services and volunteering — ultimately meeting his wife, Céline. "It was during that time that I found out they were closing over 8,000 churches in the UK," he said. The leader of the Anglican church, Nicky Gumbel, said publicly that "another church would close over his dead body." 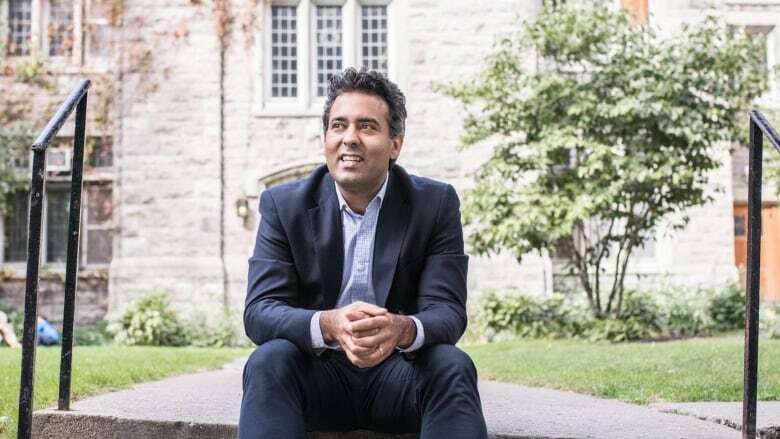 Singh, along with a cohort of young Anglicans, took up the cause and vowed to save churches from closing and turning into condos. He got a degree in Christian ministry at St. Mellitus College and was assigned to breathe new life into three other churches before moving to St. Jax. He, Céline, and their three children currently live in downtown Montreal. This documentary was co-produced and edited by Alison Cook.